Gone are the days when just the novelist, newspaper/magazine writers, authors were the blessed ones to have the platform to give shape to their ideas. Today, anyone who has the skill of writing and playing with words has the right platform. Each one of us is aware of the new craze that is sweeping around the globe. Yes, you guessed it right! I’m talking about Blogging. The ever-increasing blogging craze has brought together people from different spheres to form unique communities. Indeed, blogging has been successfully connecting people from across the world lately. I’m one passionate blogger who is always on lookout for ideas, tips and tricks to improve on my skills that help bring maturity in my writing. Journey to the successful blogging is not an easy road; you make many mistakes, face failure and then stand up again to walk on the path to reach your goal of a successful blogger. To err is human and learning from your mistakes is one mantra to success. Well, today I have come up with points that contribute in a failure of any blog thereby resulting in depression of any blogger’s journey. Scroll down to read on as to what are the factors that lead to the death of any blog or you can say common mistakes. Here’s the list of 11 common blogging mistakes which if avoided can make our journey easy. Choosing the right niche for your blog is one of the prime factors that asks for due attention. You can’t sail in multiple boats at a time. One needs to be particular about what would be the focus of the blog. You just can’t post articles related to home decor on the gaming blog. Serving lots of flavor in single blog can hamper its success. Well, another factor that contributes in success or failure of any blog is its design. The wrong choice of design/theme is certain to increase the bounce rate of your blog visitors thereby affecting the revenue of your blog resulting in the failure. People bookmark the ‘worth checking out’ sites but the blogs that are not updated on regular basis are sure to be deleted from the bookmark list. You should ensure the blog is updated frequently else your readers will no more be interested in checking out your blog. One stumbles upon net to check out something new and interesting. If you don’t wish to lose your readership keep in mind that your blog is updated regularly. Advertisements undoubtedly help generate good revenue but overloading your blog is not the wise decision. Your readers are there to check out what you have got in store for them not to see those advertisements. Placing few advertisements at few appropriate places on the blog is sufficient. Don’t be mistaken that too many ads will make your blog look colorful and interesting. This might sound insane for many of you because you might have never thought of changing the blog url and I must say you have done the right thing. Many bloggers start their blog with a url that sounds best at that particular time but after some time they find an alternative and change the url. Well, this definitely is not sensible enough as it might leave your readers confused thereby leading to the death of the blog. If you have something to sell, you need to talk about it! Talk about blogging, your content might be the best you could offer to your readers but if none is aware of the existence of your blog, it would be more or less writing for your own self. Social networking plays the major role in the success of any blog. Write and let people know about what your blog has in store. Blogs that focus more on quantity and less on the quality of the posts don’t ensure success. While writing, you should make sure you write what interests the readers. It’s not the number of posts that attracts the readers but the quality and interesting topics. Writing one or two posts on regular basis will do the needful but there should be no compromise with quality. I might sound like contradicting my point of social marketing. Guys, my point is ‘Excess of everything is wrong’. Social marketing definitely leads to the success of the blog but laying too much stress on the affiliate marketing is ill-advised. Write something to interest readers and letting them know should be the motto. Hope, y’all remember the post on useful tips for killer headlines I came up with a sometime back. No matter, how well written content you have on your blog but if your post doesn’t have a catchy headline, it is certain that readers won’t be much interested in reading the content. Ignoring the importance of catchy headlines is one biggest mistake that should be avoided. At one point in our blogging journey, we tend to become overconfident that we know it all. This is the common mistake we all make for the fact that throughout the journey of our life we keep learning. In the journey of blogging, how can we be confident or I must say overconfident of knowing it all. The quest for knowledge keeps up the spirit alive and helps to improve. Considering yourself to be perfect is the biggest mistake! Starting the blog with a passion doesn’t ensure easy road. If you want to be a successful blogger, you need to have great patience. The road taken by you is definitely not easy, there are many hurdles that you may have to cross but giving up too early would be the biggest mistake by any blogger. Don’t lose hope, try till you succeed and learn from the mistakes. That’s the mantra! 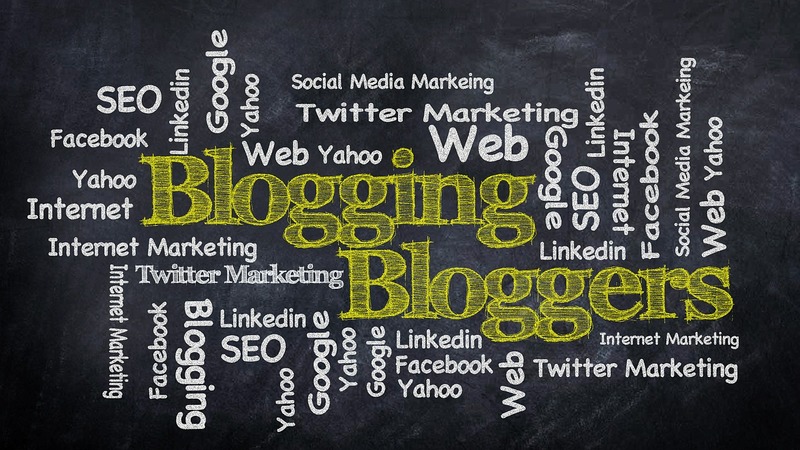 Blogging is a great invention that has taken worldwide communication to the whole new level. Give shape to your ideas, spread the word around and avoid the mistakes listed above and you will succeed in your endeavor. Feel like sharing your mistakes with others to help them avoid it? Drop in the comments below.